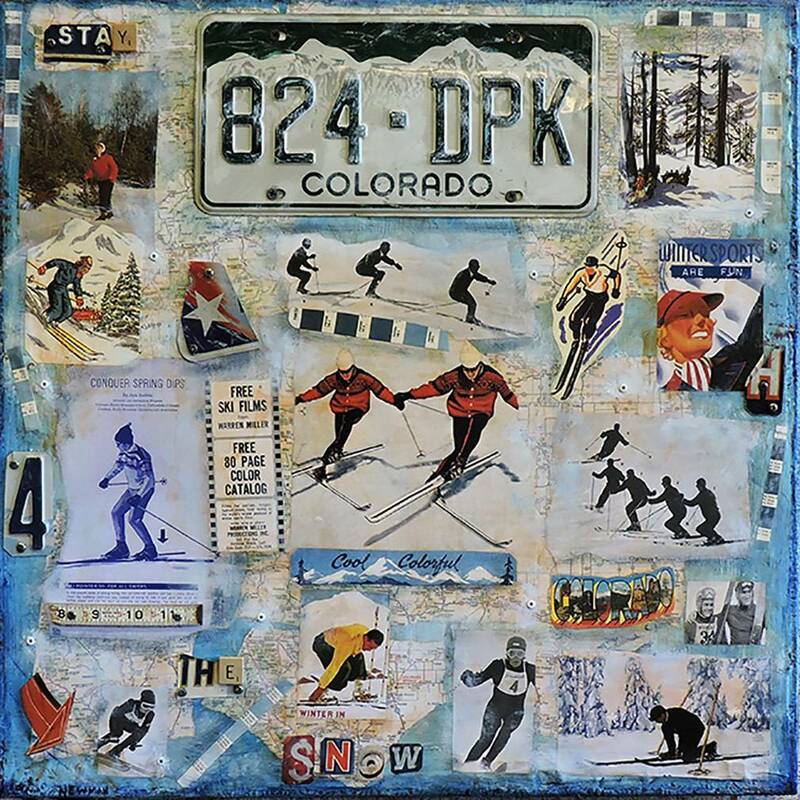 Dave Newman is a self-taught artist. He was born in 1956 in Long Beach, CA and grew up in Anaheim, CA. Newman's first exposure to art was when he started a screen printing business that he owned for eleven years with his wife Donna. It was at this time that he became interested in the Pop artists of the 60’s, especially Andy Warhol, Robert Rauschenberg and Jasper Johns. He started reading art books, visiting galleries and going to museum shows. Newman realized at the age of 32 that he wanted to become an artist. 29 years later and with lots of sweat, tears and paint mixed in, Newman is a full-time working artist. He started selling his work by doing juried fine art shows all over the West. Those shows lasted around 11 years, and he stopped doing them about eight years ago. Dave and Donna opened their own gallery in Prescott, Arizona in 2001. 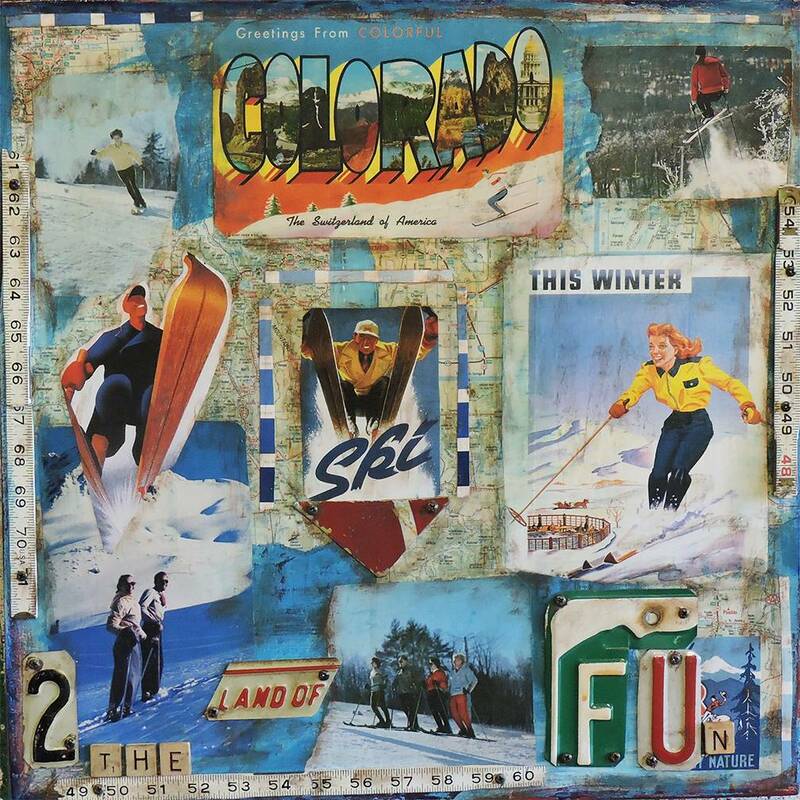 Dave refers to his work as mixed media work or “Painted Collage Constructions.” He also works with acrylic paintings, incorporating his own photos taken on his travels mostly in the Southwest and mixing in old photos, postcards, maps, and wallpaper. Dave's work is represented in four other galleries, and he works closely with the Custom Shop at Fender USA, painting custom guitars. One of Dave's latest projects is working on non-playable guitars that become wall art pieces. These guitars are covered with metal, collage, wood and found objects. Dave's philosophy on art is to work everyday he can, continue reading about other artists, past and present and to keep a very open mind about just about everything! He is always very thankful to make a living from his art and enjoy his time in his studio.